Thank you to all those who participated in the 2017 FT Business of Luxury Summit. A selection of photos and videos are now available. Chaired by the FT’s editor, Lionel Barber and co-chaired by the fashion editor, Jo Ellison, the programme will bring together leading industry executives, creatives and financiers and look at where the luxury revolution is going and how to reposition your brand. This year, we will return to Europe, at a time of extraordinary political, economic and social change. The 2017 Summit will take place in Lisbon, one of Europe’s most dynamic and evolving cities, where we will be discussing craftsmanship, manufacture and the markets of the future. How are manufacturing skills being protected and nurtured by the big brands? What initiatives are they taking to train new generations of artisans? How do you run a global business and retain an authentic heritage? Does luxury require new narratives or creative leadership? We will also be discussing many of the political and economic disruptions currently changing the industry and their impact on trade. How are brands like Louis Vuitton, Cartier and Hermès adapting to the shifting economies? We will discuss disruption with VETEMENTS’ Guram Gvasalia and Miroslava Duma and the chef Nuno Mendes will join us to debate the explosion in experiential luxury. What should brands be investing in now? And what’s becoming obsolete? A panel of renowned deal-makers will debate and discuss deal-making in the industry. Four experts discuss the future of creative leadership, retail, branding and building in the new world economy. Watches and Jewellery: Where Next? How are major sectors of the luxury industry adapting to post-recession forces? How are watch and jewellery luxury brands responding to changing client demographics? What is the outlook for the industry? The great grandson of Émile Hermès, Axel Dumas represents the sixth generation of the Hermès family. Holding a Master’s in Law and Bachelor of Philosophy, Mr Dumas attended Sciences-Po Paris and is a graduate of Harvard Business School (AMP). After eight years at Paribas, based in Beijing and New York, he joined Hermès in 2003 as Auditor with the Financial Department of Hermès International and went on to become Retail Director for France. In 2006 he was named Managing Director of Hermès Bijouterie and, in 2008, was appointed Managing Director Métier Hermès Leather and Saddlery. From May 2011 to June 2013 he held the position of Chief Operating Officer. Since June 2013 Mr Dumas has been appointed Chief Executive Officer of Hermès International. Group managing director since 2008, Jean-François Palus supports CEO, François-Henri Pinault, in overseeing all of Kering’s operational and financial activity. After being responsible for managing Kering’s mergers and acquisitions, Mr Palus served as CFO from 2005 to 2008, when he was appointed to his current role. He joined the Kering board in 2009 and has been chairman of the Administrative Board of PUMA SE since December 2012. Before joining the Artemis Group in 2001, Mr Palus spent ten years with Pinault-Printemps-Redoute (now Kering), where he held positions including deputy CFO for the timber division of Pinault SA and Group financial control director. A French national, he began his career with Arthur Andersen as an auditor and financial adviser after graduating from the HEC business school. Cyrille Vigneron has been the President & CEO of Cartier since January 1, 2016. Prior to this he was President of LVMH Japan and has worked at Richemont since 1988, mainly at Cartier. He was successively CEO of Cartier Japan, Chairman of Richemont Japan and then CEO of Cartier Europe. Cited as a "force of the fashion industry"​ by the Financial Times and the "most connected digital entrepreneur in fashion" by Vogue, Miroslava Duma is the founder of digital company, Buro 24/7 and its fashion and lifestyle platform Buro247.com. In just five years, Buro 24/7 has launched local versions in 11 countries including Russia, Middle East, Australia, Singapore, Malaysia, Mexico, Central Europe, Ukraine, Mongolia, Kazakhstan and Azerbaijan with an additional 11 countries in the pipeline. In 2016, Ms Duma co-founded The Tot, an e-commerce site that curates healthy, safe, non-toxic and innovative products for moms, moms-to-be and their babies. She is also an active investor across a range of businesses including revFluence- a social media marketing company, Reformation- a greenfashion brand and RewardStyle- a monetization service for publishers and content creators. Ms Duma is a regular speaker and commentator on business, digital and media and has featured as a keynote speaker at Pioneers Asia in Japan, panelist at The Copenhagen Fashion Summit, the DLD conference in Munich, Vogue Fashion Festival in London, fashiontech in New York, Web Summit in Lisbon and for two years running at the St Petersburg International Economic Forum (SPIEF). In 2008 José Neves launched Farfetch, bringing together his interests in fashion and technology, as well as his experience in design, wholesale and retail, to create a business that would celebrate and support the diversity of the global fashion industry. The seasoned entrepreneur had experienced first-hand the challenges facing bricks-and-mortar retailers wanting to expand online. His vision was to create a single portal, offering independent boutiques the opportunity to compete with the leaders of fashion e-commerce. Farfetch now comprises more than 300 boutiques, offering over 125,000 pieces from 1,500 brands. With customers in over 180 countries, the site receives an average of 9 million monthly hits. Mr Neves has been involved in the fashion start-up world since the mid-1990s when he launched footwear business SWEAR. Mr Neves later founded SIX London, a fashion licensing and wholesale company selling to 600 retailers worldwide. In 2001 Mr Neves opened the renowned bstore, which won the British Fashion Award for Retailer of the Year in 2006. Mr Neves has received numerous accolades as an entrepreneur and for his business ventures, including The Business of Fashion’s 500 People Shaping the Fashion Industry in 2013, Ernst & Young’s 2013 Entrepreneur of the Year and Vogue’s DirectorsOf.COM Top Entrepreneur in 2011. José Manuel Barroso has been President of the European Commission (2004-2014) and Prime Minister of Portugal (2002-2004). Having first been elected to the Portuguese Parliament in 1985, Mr Barroso served as state secretary for home affairs, state secretary for foreign affairs and cooperation, and minister for foreign affairs in successive governments. In 1999, he was elected president of the Social Democratic Party and became the leader of the opposition. In 2002, he was elected Prime Minister of Portugal and in 2004 he was nominated as President of the European Commission. He remained in the Presidency for two five-year terms where he played an influential role in the passing of the Treaty of Lisbon, responding to the financial crisis and incorporating new members in the European Union, as the EU went from 15 to 28 countries between 2004 and 2014. On behalf of the EU, Mr Barroso received the Nobel Peace Prize in 2012. Mr Barroso’s academic positions included visiting professor at Georgetown University. Most recently, he was visiting professor of International Economic Policy and a policy fellow at the Woodrow Wilson School, at Princeton University. He is also a visiting professor at the Catholic University of Portugal and at the Graduate Institute of International and Development Studies in Geneva. Mr Barroso has been awarded numerous honorary degrees and has received more than 60 decorations, prizes and honors, including Portugal’s Grã-Cruz da Ordem Militar de Cristo and Grande Colar da Ordem do Infante Dom Henrique. He graduated in Law from the University of Lisbon and completed a master’s degree in Political Science and a diploma in European studies at the University of Geneva. Mr Barroso is currently chairman and nonexecutive director of Goldman Sachs International and an advisor to the firm. Floriane de Saint Pierre, founded Floriane De Saint Pierre & Associes in 1990 and built the company to be recognized as the leading firm for Organization Design, Human Resources, Board Strategy and Executive Search consulting for brands whose performance is based on innovation, design and usage with offices in Paris, Milan and New York. Floriane de Saint Pierre is also the Founder of two digital platforms, Eyes On Talents and Ethics & Boards. Eyes On Talents’ online platform empowers brands to access the best creative talent worldwide in visual disciplines, fashion, jewelry, design and graphic design, photography and architecture. The Eyes on Talents Awards are granted annually to designers with a strong commitment to innovative thinking. Angela Luna received the inaugural Eyes on Talents Innovation Award at Parsons School of Design in 2016. Ethics & Boards is the first online governance data and rankings provider on Corporate Governance of listed companies. Ethics & Boards partners with the French Government tracking and analyzing Board diversity with a specific focus on women. Ethics & Boards affords companies and investors up-to-date governance, Board and Executive Committee information, analytics and peer company benchmarking of the major international indices. Ms Saint Pierre graduated from ESSEC Business School and started her career in Finance at Christian Dior Couture. She is a Chevalier de la Légion d’Honneur, Board Member of the French-American Foundation - France as well as of the D’Days Design Association. She is a frequent lecturer at business and design schools and institutions. As an active participant in international contemporary art, Ms Saint Pierre is a Founding Member of the Tokyo Art Club Entreprises of the Palais de Tokyo Museum, Member of the Groupe d’Acquisition de la Photographie du Centre Pompidou and President of the Benefactors Committee of AWARE - Archives of Women Artists Research & Exhibition. Ms Saint Pierre’s passion for contemporary culture and supporting women artists inspired her to build a collection of Contemporary Art and Photography dedicated to Women Artists of the 20th and 21st century. Luigi de Vecchi, currently Chairman of Continental Europe for Corporate and Investment Banking in Citi. Prior to joining Citi, he was Co- Head of Global Investment Banking at Credit Suisse and a Managing Director at Goldman Sachs and Kleinwort Benson. Mr de Vecchi is also a Professor of Finance and Member of the Advisory Board of the LUISS University in Rome and Board Member of CalArts in LA. He is also a member of the Board of Director of Save the Children Italy. In 1981 while still a first year student St Martins School of Art, Robin Derrick started working with Terry Jones, on fledgling style magazine i-D until his graduation when he was offered his first full-time job – as Designer at The Face magazine working alongside acclaimed typographer and art director Neville Brody. Subsequently as Art Director of The Face, Mr Derrick forged links with young photographers Nick Knight, Mario Testino and Juergen Teller. In 1986 Mr Derrick became Contributing Editor on the launch of a brand new type of men’s magazine – Arena. He then left for Italy in 1987, when Carla Sozzani asked Mr Derrick to launch Italian Elle as Art Director. Mr Derrick brought his group of cutting-edge photographers from London and worked with established international photographic talent of the time such as Steven Meisel, Paolo Roversi, Sarah Moon, Bruce Webber and Peter Lindberg. The following year, along with two partners, Mr Derrick set up Studio Box, a fashion-oriented design and art direction studio with offices in Paris and Milan. Studio Box clients included Dolce & Gabbana, Cartier, Max Mara, Ferre, Anna Molinari, Krizia, Ferretti, Armand Basi and Romeo Gigli among others. After five years based in Paris, Mr Derrick returned to London in 1993 where he became the Creative Director of British Vogue for the next 19 years. January 2000’s Millennium issue was the highest selling issue in the magazine’s history. Whilst at Vogue Mr Derrick created the world’s first fashion magazine iPad app and made, what was then, the most watched YouTube film, featuring Megan Fox for Armani Underwear. In 2009, Mr Derrick joined Spring Studios, a global leader in luxury brand communications that innovates and elevates some of the biggest brands in luxury, fashion, beauty and retail including Tom Ford, Diesel, Kiko, Calvin Klein, Versus Versace, Nexxus and Canali. As global Executive Creative Director, Mr Derrick oversees the agency’s output across Spring’s London and New York offices. Mr Derrick has kept faith with his editorial roots at Spring redesigning Harper’s Bazaar US and creating its digital platform and launching Porter magazine in 2014. Mr Derrick has had four solo exhibitions of his photographic work entitled Big Head, Galerie Gordon Pym et Fils, Paris in 2004; Life Class, Galerie Gordon Pym et Fils, Paris in 2006; Robin Derrick gallery 275, London in 2007 and Cut Flowers, Flora Fairbairn gallery, London in 2008. He has also written several books, including The Impossible Image, Phaidon Press, 2000; Unseen Vogue, Time Warner, 2002; People in Vogue, Time Warner, 2003 and Vogue Covers, Time Warner, 2007. Nicolas Ghesquière was born in Comines, in the north of France in 1971. At the age of 15, he learned his way into the fashion business through various internships. After completing his studies, he started as Design Assistant to Jean Paul Gaultier in 1991. In 1995, he joined Balenciaga where he was appointed Creative Director in 1997 and was quickly acclaimed for his sculpted, futuristic and Parisian chic silhouettes. For three seasons, he designed for different companies including the Italian based house of Callaghan. In October 2001, he received the CFDA “International Designer” award. In 2006, he was elected by Times Magazine as one of the 100 most influential persons in the world and he was made “Chevalier des Arts et des Lettres” in 2007 by the French government. He is hailed as one of the most intriguing designers of his generation and is widely credited for launching trends that have resonated throughout the world. On November 5th, 2013, Nicolas Ghesquière joined Louis Vuitton where he was appointed Artistic Director of Women’s collections. In November 2014, a year after his arrival at Louis Vuitton, he was awarded Fashion Innovator of the year by the Wall Street Journal. Then in December, he received the British Fashion Awards for Best International Designer of the year. Nicolas Ghesquière received the “Designer of the Year” Instyle award in 2015 and served as Honorary chair for the Met Gala star-studded event in 2016. He is part of the LVMH Prize jury since 2015. Known for being the business mastermind behind one of today's most talked about brands, VETEMENTS, Guram Gvasalia is the chief executive of the Paris-based label alongside his older brother Demna, who leads the brand's creative team. The pair have disrupted fashion's show schedule by showing their collections off-season and introducing a business strategy focused on creating luxury through scarcity, boasting a sell through rate of 70 to 80 percent. Growing up in a small town in the former USSR state of Georgia during the country’s civil war, his family fled their hometown in the 1990s, settling in Düsseldorf in Germany. Mr Gvasalia gained sales experience at Burberry and received degrees in International Business and European Management and Law at university, whilst his brother gained experience at Maison Martin Margiela and Louis Vuitton after studying Royal Academy of Fine Arts in Antwerp. In 2014, the brothers launched Vetements, whose exaggerated silhouettes and streetwear-inspired clothing commands asking prices near those of couture level, creating a buzz throughout the fashion industry. In less than three years, the duo has secured more than 200 stockists worldwide, including Dover Street Market , Net-a-Porter and Selfridges. Additionally, Mr Gvasalia combined the men's and women's runway show and made the decision to show Vetements during pre-seasons in order for the clothing to remain on the shop floors for a longer period of time than it would do showing on season. Alexander Illing is the CEO of the GES-Export Group, a family owned textile and footwear buying agency that was founded 43 years ago by Georgina Illing. Shortly after finishing his degree in international relations at the University of Wales, Mr Illing returned to his hometown of Porto to join the family company. He quickly climbed the ranks, first taking over the Moroccan operation, then opening new offices in Egypt, Turkey and Bangladesh. Following a short stint as the group's Commercial Director, he assumed the Chairmanship of the family's Board of Directors in 2010. Today GES-Export is the largest buying office in Portugal and North Africa, exporting apparel and footwear to some of the largest European retailers. Mr Illing boasts that over 95% of his group's production stems from their own proposals and designs. To maintain the group's volume of business and market position, he had to lead the company from providing only manufacturing opportunities to its customers to the new role of being a key player in the creative process and the development of new products. Heralded as “the new Estée Lauder” back in the mid-‘90s when her experimental one-room beauty studio grew into the revolutionary Bliss Spa, Marcia Kilgore was later pegged by Time Magazine as one of the new generation of young entrepreneurs after she sold the company to LMVH. Ms Kilgore went on to grow, and later sell, beauty brand Soap & Glory – her post-Bliss beauty brand – known for giving customers “the best bang for their beauty budget”– to Boots/Walgreens, cementing her status as serial-entrepreneurial wonder woman. Next came FitFlop, Ms Kilgore’s ergonomic footwear brand, dubbed by industry watchers as “footwear’s Lululemon”, which is now distributed in 64 markets globally and whose current SS17 Shoes For Superwomen campaign is fronted by Uma Thurman. Ms Kilgore’s new venture, Foam and Substance, is a mother-company for two (so far) zeitgeist-grabbing brands, located in London and staffed by the budding business superstars she’s met along the way. Her team recently launched a masspirational bath and body brand called Soaper Duper, which boasts the best naturally-derived, enviably-priced bath and body products of the 21st century. The brand donates to WaterAid and Clean the World – proving that it’s possible to do good business and do good at the same time. Beauty Pie - Foam & Substance’s most recent launch - went live in December 2016 with ambitions to change the way that women shop for cosmetics. Providing a ‘virtual backstage pass’ to the world’s leading makeup manufacturers, Beauty Pie sells its members luxury cosmetics (with skincare launching later this month, and beauty tools following after) at their totally transparent Factory Cost. Born and raised in Lisbon, Nuno Mendes has dedicated his life to exploring and perfecting his cooking. His vast experience spans from his culinary training in San Francisco to working with some of the world’s leading chefs such as Wolfgang Puck, Rocco di Spirito and Jean-Georges Vongerichten in both New York and London. Mr Mendes is a pioneer in gastronomy, a traveller or ‘viajante’ who has explored the globe in search of unique ingredients, innovative techniques and first-hand experience on local farms. In 2006 he opened Bacchus in Hoxton, London where he received critical acclaim for his avant-garde food. Following this, Mr Mendes set up a brand new concept called The Loft Project. It grew from an underground supper club movement to, what he calls, a ‘chef’s gallery’. It became a platform for him to create new recipes whilst hosting informal dinner parties for willing and intrigued diners. Mr Mendes then invited up-and-coming chefs from around the world take up residence and use The Loft Project as their platform to create and offer an intimate dining experience in Mendes’ own home. In 2010 Mr Mendes opened Viajante in the Town Hall Hotel. Set in the urban landscape of Bethnal Green, the restaurant received wide-spread recognition from critics as well as a coveted Michelin star within just nine months of opening. In the 2013 San Pellegrino’s World’s Best Restaurants at number 59, and evolved from a local hotspot into an international destination. In May 2011 he opened a more informal sister restaurant to Viajante named the Corner Room. At the start of 2014, Mr Mendes left the Town Hall Hotel to pursue new endeavours and in February 2014 joined Andre Balazs as executive chef at his first UK venture, Chiltern Firehouse that opened to critical acclaim. Elio Milantoni joined Deloitte in 1998, he is Partner and Head of the M&A Advisory of Deloitte Financial Advisory. He is member of the Global Corporate Finance Advisory Executive Committee of Deloitte and he also leads the European Corporate Finance Consumer Business Team. As partner of the Corporate Finance practice, he has a wide experience in the field of Mergers & Acquisitions. He has assisted national and international primary players, both Corporate and Private Equity, with a focus in consumer goods, manufacturing and industrial sectors. Mr Milantoni holds a degree in Economics and a Master in Business Administration. In addition he has a Corporate Finance Qualification (CF) - Institute of Chartered Accountants in England and Wales. He is also member of the Italian Institute of Chartered Accountants (Albo dei Dottori Commercialisti) of Milan and member of the Register of Technical Consultants of the Court of Milan. Born in Ravenna, Italy, in 1969, Federico Marchetti holds a degree in economics from Bocconi University in Milan and an M.B.A. from Columbia University. After several years of corporate experience, and serving as an adviser to several chief executives and designers in the international fashion industry, he turned his attention to his next adventure – the internet. In 2000, he founded YOOX – the perfect venture to unite his business vision with his eye for fashion and design. A diverse background, with 17 years of experience in fashion e-commerce and proven intuition has provided Mr Marchetti with a truly valuable perspective, leading him to work side-by-side with leaders of the fashion industry in the development of their e-tail strategies and subsequent evolution. His knack for innovation and encouraging creative talent online has seen him contribute, as a panel member, to some of the most important international fashion initiatives globally, including Paris's renowned Andam Fashion Award and Vogue Italia's "Who Is on Next?”. In 2012, Mr Marchetti was awarded the prestigious Leonardo Award for Innovation by Italian President Giorgio Napolitano in recognition of the pioneering spirit of YOOX Group. He was also nominated as Alumnus of the Year 2014 by Bocconi University for his unique entrepreneurial skills and innovative thinking. In October 2015, YOOX completed the merger with The Net-A-Porter Group giving birth to YOOX NET-A-PORTER GROUP – the world’s leading online luxury fashion retailer, with Mr Marchetti as Chief Executive Officer. The merger brought together two highly complementary businesses covering all key geographical luxury markets and customer segments, with huge expertise and an expanded platform for building stronger partnerships with brands. The Group has significant synergy potential, with combined 2016 net revenues of €1.9 billion, and delivers to more than 180 countries around the world. In November 2016, Federico Marchetti was recognized as “Entrepreneur of the Year” by Ernst and Young for his unique vision and ability to capture the immense opportunities offered by the web and technological innovation in Italy, combining to make YOOX NET-A-PORTER GROUP the world’s leading online luxury fashion retailer. Artist Angela Palmer is an award-winning graduate of The Ruskin School of Fine Art at Oxford University and The Royal College of Art. Her sculptures are in the permanent collections of The Ashmolean Museum in Oxford, The Smithsonian Air and Space Museum in Washington and The National Portrait Gallery in Scotland. Ms Palmer’s most ambitious work is The Ghost Forest, an installation of 10 mighty rainforest trees which she brought from a commercially logged virgin forest in Africa to Trafalgar Square in London. Mapping is at the core of her work and using MRI and CT she has adapted a technique to show objects floating as three-dimensional drawings in glass cubes. Subjects include an Egyptian child mummy; the head of the world’s most famous racehorse Eclipse; and an area of space using Nasa data from the Kepler mission. Ms Palmer also deconstructed the world's most successful Formula 1 engine, the V8 used by Sebastian Vettel in four consecutive F1 world championships, to create a series of dramatically upscaled components as abstract sculptures. She also collaborated with Nick Mason of Pink Floyd on a sound and light installation capturing a century of the evolution of the eight cylinder engine. Ms Palmer's most recent project is a portrait of the UK, The Geological Spine of Great Britain in which she sourced rocks from every geological period spanning 3 billion years, tracing in a complete timeline the creation of England, Wales, Scotland and N Ireland from their position near the South Pole to the present day. Previous to her art career she was a journalist, with posts including the editorships of ELLE and The Observer Magazine. Dan Parry-Williams has been with McLaren Automotive for over 10 years. He was invited to join the company as Chief Designer when it started its McLaren P1 project, the world’s first hybrid ‘hypercar’. A designer and engineer by heart Mr Parry-Williams holds the position of Director of Engineering Design and is responsible for the engineering design and development of all McLaren products. Mr Parry-Williams has spent his career in design and the research and development of high performance sports and racing cars. From the Jaguar XJ220 Supercar, the world’s fastest car at the time, through to the innovative Aston Martin Vanquish, and then into Formula One as Head of Research and Development at Arrows before moving back to the automotive industry with TWR Automotive. It was his role at TWR that triggered the interest from McLaren Automotive who were looking for the skill set to design and develop a worthy successor to the McLaren F1 and utilize hybrid technology for the first time. Along with the design studio, Mr Parry-Williams set out to create the McLaren P1, a project that would take five years. The car subsequently put McLaren Automotive on the map, placing the brand next to marques such as Ferrari and Porsche and positioning McLaren as a genuine competitor after only a couple of years trading as an automotive company. Mr Parry-Williams is integral to the design and engineering process at McLaren Automotive being responsible for all vehicles technical prowess and styling. The brand takes an integrated approach to design, combining the engineering and styling processes allowing for Total Design. Drawing on its 50 years of racing history, McLaren Automotive was launched in 2011 in Woking, Surrey at its Norman Foster designed Head Office and in its short history, McLaren Automotive has become one of the leading manufacturers of supercars. After graduating from ESSEC in Paris and from Columbia Business School in New York, Daniel Piette spent several years in United States as a Consultant at Arthur D. Little. He then moved to France and became Division Vice-President in companies such as DMC, Matra-Manurhin and Bosch. Mr Piette joined LVMH Group in 1990 as Group Executive Vice President, then as President of the Fashion Branch. He has been a Member of the LVMH Executive Committee. In 1999, he oriented his career toward private equity investment and became Chairman of LVMH Investment Funds, successively creating five funds sponsored by LVMH: L Capital Europe and L Capital Asia. Mr Pietteis the founder and Chairman of FIRST FOUNDERS, active in investment and wealth management. He is President and member of several company boards. He is also a Fulbright Scholar and a Knight in the Order of Legion d’Honneur. Stefan Sielaff joined Bentley Motors in July 2015 from his previous role as Design Director at the Volkswagen Design Center, Potsdam. Mr Sielaff first joined the Volkswagen Group in1990 as an interior designer for Audi in Ingolstadt. His career then took him to Barcelona where he became Head of Interior Design at the VW Group Design Center, Europe. Between 1997 and 2003, he returned to Audi where he held the position of Head of Interior Design. After a brief spell with DaimlerChrysler, where he was Head of the Interior Design Competence Center, Mr Sielaff returned to Ingolstadt in 2006 to become Design Director at Audi, a position he held until 2012. It was here that he led a team of over 350 design experts with responsibility for exterior, interior and colour and trim design for the full Audi range, concept and show cars. Alongside his current lead role at Bentley, Mr Sielaff is also Head of Group Interior Design Strategy at Volkswagen AG. Mr Sielaff, was born in Munich and achieved a master’s degree in vehicle design at the world-renowned Royal College of Art, as well as studying at the famous London institute with an Audi scholarship. Francesco Trapani is the former CEO of Bulgari and former Chairman of the LVMH Watches and Jewellery Division. Mr Trapani began his career as the Assistant to the Chief Financial Officer of Bulgari. He then went on to become Chief Executive Officer of Bulgari in 1984. In 1995 Francesco Trapani oversaw the listing of Bulgari on the Italian Stock Exchange, with the Bulgari family as the controlling shareholder. During this time Mr Trapani also began building the Bulgari brand at a global level. Under Francesco Trapani’s leadership, Bulgari went from a small jewellery company with a turnover of approximately EUR25 million, with 5 shops and 80 employees, to the Bulgari Group, one of the leading global players in the luxury market. In 2011, Bulgari, which in the previous 20 years had paid dividends for EUR600 million, joined forces with the LVMH Group; at the time of the transaction the company was valued EUR4.3 billion. Born in Rome, Francesco Trapani is 57 years old, married, and has 3 children. Lionel Barber is the editor of the Financial Times. Since his appointment in 2005, Mr Barber has helped solidify the FT’s position as one of the first publishers to successfully transform itself into a multichannel news organisation. During his tenure, the FT has won numerous global prizes for its journalism, including Newspaper of the Year, Overseas Press Club, Gerald Loeb and Society of Publishers in Asia awards. He has co-written several books and has lectured widely on foreign policy, transatlantic relations, European security and monetary union in the US and Europe and appears regularly on TV and radio around the world. As editor, he has interviewed many of the world’s leaders in business and politics, including: US President Barack Obama, Chancellor Angela Merkel of Germany and President of Iran, Hassan Rouhani. Mr Barber has received several distinguished awards, including the St George Society medal of honour and the Legion d’Honneur for his contribution to journalism in the transatlantic community. He serves on the Board of Trustees at the Tate and the Carnegie Corporation of New York. Ellison is the author of Vogue: The Gown, an overview of evening dresses in British Vogue over the last century. In 2013 she was named Features Writer of the Year by the Fashion Monitor Journalism Awards. As features director at British Vogue between 2008 and 2014, Ellison wrote and commissioned the title’s main features and interviews for both the magazine and website, across topics including food, beauty, politics and health. She is a former features editor at the Independent and started her career at the Irish Examiner. She holds an MA in History from the University of Edinburgh. Angela Mackay is Global Publisher of FT Live and Managing Director of Asia Pacific at the Financial Times. Based in Hong Kong, she is a member of the FT’s global board. In Asia Pacific, Ms Mackay focuses on developing the group’s significant potential across the region. This includes FTChinese.com, the mainland's leading foreign-owned, Chinese-language news site. As Global Publisher for FT Live, Ms Mackay leads business and strategy development for events, membership and communities, such as 125 Forum and the Non-Executive Director (NED) programmes. The FT stages more than 200 events around the world annually. Ms Mackay also holds wider responsibility across the FT Group, as Chair of Longitude, a specialist thought-leadership and research company acquired by the FT in 2018, and as Chair of scoutAsia, a corporate data and news service jointly founded by the FT and Nikkei. Ms Mackay joined the FT in 2003 on the editorial team, serving as the Asia investment editor for two years. Before joining the FT, she was Asia editor for Sunday Business from 1998 to 2001. Her previous roles include editor at The Economist Group, supervising producer at CNBC, deputy news editor at The Times in London, and UK correspondent for the Australian Financial Review. Ms Mackay is a Non-Executive Director of the FT/IE Corporate Learning Alliance, and a board member of Asian Youth Orchestra, Hong Kong International Literary Festival and Sovereign Art Foundation. She holds a BA in English Literature and an LLB, and was admitted as a solicitor in New South Wales and Victoria, Australia. Other room categories are available upon request. Rates are available for the nights of 14 and 15 May, and the shoulder nights of 12, 13 and 16 May (subject to availability). Rates are inclusive of American buffet breakfast, internet and taxes (6%). Rates are exclusive of a tourist city tax @ EUR 1 per guest per night. If you prefer to make your reservation via phone, please ring our dedicated Conference Manager on Tel. +351 21 381 1494. Phone lines are open from 09:00 - 18:00 (UTC) Monday - Friday. Please reference the group name Financial Times when making reservations. Note that rooms are subject to availability. Carla's hours are Monday - Friday from 09:00 - 18:00 (UTC). As an alternative to the Four Seasons, we have arranged special rates at the InterContinental Lisbon which is located next door to the Four Seasons Hotel. Rates are inclusive of buffet breakfast, wifi and taxes (6%). Rates are exclusive of a tourist city tax @ EUR1 per guest per night. Please book via our dedicated link http://bit.ly/FTLuxurySummit2017Lisbon. Move Now Luxury Brokers & Advisors deliver custom made transaction services for luxury retail real estate on three continents. Wir realisieren selbst für komplexeste Anforderungen bei Transaktionen von Miet- und Kaufverträgen in Retail-Luxuslagen passgenaue Ergebnisse auf drei Kontinenten. Nous proposons un service personnalisé pour les transactions immobilières commerciales de luxe sur trois continents. 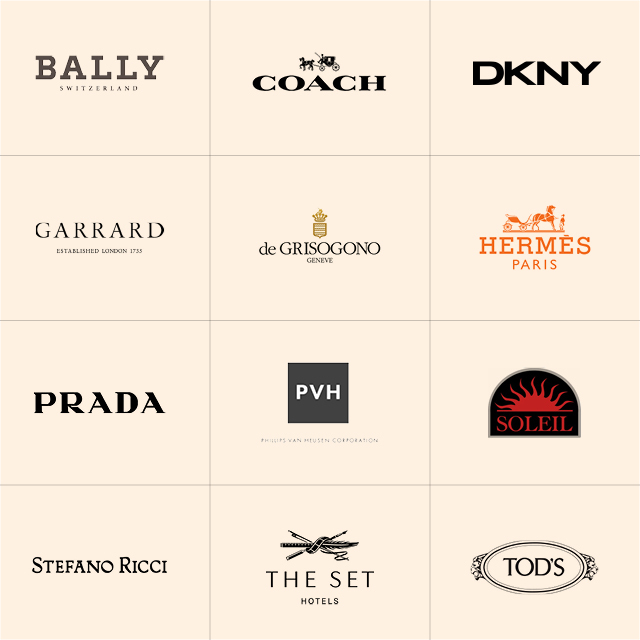 Forniamo servizi personalizzati per transazioni immobiliari per il luxury retail in tre continenti. Мы предоставляем персональные услуги по сделкам с элитной недвижимостью на трех континентах. Deloitte is one of the world’s leading professional services organisations with approximately 245,000 professionals in more than 150 countries and territories. Deloitte’s deep understanding of the issues and trends affecting retail businesses enable us to provide fully integrated and sector-focused teams working across audit, consulting, financial advisory, risk advisory, tax and related services. Deloitte is at the forefront of providing solutions that maximise value for our clients to ensure competitive advantage enabling them to make informed and effective decisions. The Pictet Group is a partnership of six owner-managers. With more than CHF 509 billion in assets under management or custody as per 31 December 2017, Pictet is today one of the leading European independent wealth and asset managers. Our principles of succession and transmission of ownership have remained unchanged since foundation in 1805. The Group offers only wealth management, asset management and related asset services; we do not engage in investment banking, nor do we extend commercial loans. Headquartered in Geneva, Switzerland, Pictet today employs more than 4,200 people across 27 offices worldwide. Founded over 20 years ago, today BARNES is a major player in international luxury real estate. BARNES brings its clients global expertise to advise them on their international real estate investment decisions while offering tailored local support. BARNES is a luxury brand that continually seeks excellence for its clients, inspiring the global community to a France Art of Living. Located in major international cities and the most beautiful resorts in the world, BARNES offers an exclusive selection of rare and unique properties located in Europe, the United States, the Middle East, the Indian Ocean and the Caribbean. Using the strength of its global presence, its local knowledge and expertise, BARNES offers personalized support to each of its clients: everything from legal planning to the interior design; including financing, international administration, business address services, insurance, property management and more. Our magazine BARNES LUXURY HOMES is a showcase of luxury lifestyle and international real estate. The main edition is printed on 200,000 copies, which are distributed internationally, and is supplemented by Russian, Swiss, Chinese and Israeli editions. BARNES has recently launched “So Barnes”, a web media dedicated to the world of luxury, which allows our clients to discover the most beautiful cities and beach and ski resorts around the world. BARNES publishes each year a global report. “The Global Property Handbook” has been released beginning 2017 in collaboration with Warburg and Wealth-X. Thor Equities – a leader in urban real estate development leasing, and management – is actively pursuing premier retail and mixed-use assets located in high-density areas. Thor Equities’ current portfolio of assets represents some of the best “High Street” retail and mixed-use properties in global gateway cities across the United States, Europe and Latin America. A renowned real estate development and investment firm based in New York City, Thor Equities specializes in revitalizing retail and mixed-use properties in the interest of delivering optimum results to investors. Our strategy focuses on acquiring luxury mixed-use assets and underperforming developments in vibrant markets with a strong retail component. With an interdisciplinary approach, we converge on newly acquired properties with our teams of asset management, leasing, development and transactional professionals to create real estate opportunities and solutions. Portugal's biggest high end watch and jewelry chain. The shops offer a choice of brands such as Audemars Piguet, Breguet, Bvlgari, Cartier, Hublot, IWC, Omega and Richard Mille.The flagship store is located in Lisboa at Av Liberdade194 and is where the international clientele finds unique pieces 1/1 and exclusive limited editions. Claus Porto is a portuguese luxury beauty and lifestyle house founded in 1887. Originally known by its hand-crafted soaps infused with fine fragrances wrapped by hand in beautiful vintage packaging, is now undergoing a whole new era and expanding its range, just in time for its 130th anniversary. Enflux is an ground-breaking data-technology firm that provides global predictive influence research and analytics. Designed to identify market opportunities and anticipate competitor moves, Enflux analyses more than 18,000 external data sources together with deep worldwide social media listening in near-real time to "see what matters" to consumers worldwide-- both now, and in the months to come. Enflux applies powerful bespoke algorithms tailored to each client's goals, helping them seize and maximise opportunities while eliminating wasteful spending. Enflux provides firms the forward-facing key to understand what is critical, identifying who- and what- will drive customer spending today- and tomorrow. Christian Bassett Ltd was established in London in the early 2000s, now one of the global leading names in the luxury fashion; talent search industry. We recruit c-level, leaders and managers across the globe - we develop talent. With our HQ in London and regional offices in Shanghai, Hong Kong, Singapore and Bangkok, the Christian Bassett Group is committed to offer excellence to both our long-term clients and candidates. With a 360˚ view, 3 companies – CB Executive, CB Recruitment and CB Training we can provide a bespoke service vital to the building of long term tailor-made solutions to our partners. Specialising in the Luxury industry from Global and Regional Executives, Design Talent as well as partnering with our clients to source world class profiles for their creative and product teams, support functions, digital and retail management at all levels. Our unprecedented team of consultants, all of whom come from the industry have not only a working knowledge and intricate understanding and but passion for it too. This sets us apart along with their absolute commitment to client delivery lies at the heart of our rapid growth and continued success. Paul Bassett (Founder) & Jocelyne Fulton are co- owners of Christian Bassett, who together lead the team delivering a range of services to the world’s leading fashion brands. Turismo de Portugal is the national authority responsible for promotion, enhancement and sustainability of Tourism activities. For over 41 years Sonraj has been dedicated to providing the finest selection of luxury timepieces in Pakistan. Today, as the country stands at the inflection point of positive growth and economic prosperity, Sonraj has become the visionary and entrepreneurial leader, operating with a strong framework of ethics and sustainability for all luxury and prestige brands. PORTUGAL FASHION set up in 1995 and becomes one of the biggest fashion events on the Iberian Peninsula in those 20 years. The project by ANJE – National Association of Young Entrepreneurs and ATP – Textile and Clothing Association of Portugal debut on international catwalks came in 1999. Since then, the project has made the internationalization of Portuguese fashion one of its main aims, holding campaigns in cities as varied as New York, Madrid, São Paulo, Barcelona, Istanbul, London, Vienna, Milan and Paris. Both in Portugal and abroad, investment in young designers is also one of the fundamental elements of PORTUGAL FASHION. The event seeks to act as a lever of emerging talent in order to renew the national fashion panorama. Located in the heart of the Douro Demarcated Region, on the Rio Torto valley, Quinta do Vale D. Maria’s history goes back more than 250 years in family hands. It has a total of 45 hectares under vines (22 hectares of vineyards between 60 and 90 years old, 18 hectares of 35 year old vines and 5 hectares planted in 2004) with 41 different grape varieties planted, covering a broad spectrum of the Douro traditional varieties - Tinta Amarela, Rufete, Tinta Barroca, Tinta Roriz, Touriga Franca, Touriga Nacional, Sousão, and many others. It has been producing several Douro Reds and Ports since 1996. Founded in 1942, Sogrape Vinhos was born from the visionary idea of creating a new wine, Mateus, which is the most exported Portuguese wine ever. Today led by the third generation of the founding family, the largest Portuguese wine company’s goal is to be the Iberian reference of quality wines, of family tradition, focused on developing relevant brands for consumers. With direct presence in more than 120 markets, Sogrape operates in five countries of origin – Portugal, Spain, Chile, Argentina and New Zealand. A member of Star Alliance since 2005 and in operation since 1945, with its main hub in Lisbon, TAP Portugal currently flies to over 86 destinations across 35 countries. With up to 82 flights a week to Lisbon and Porto from London Heathrow, Gatwick and Manchester, TAP is the UK’s most frequent flyer to Portugal. Luxury Daily is the world's leading luxury business publication covering the marketing, retail, media and digital efforts of luxury brands and retailers, as well as geopolitical issues that shape demand and supply. The title is supported by several industry-leading summits including Luxury FirstLook in January, Women in Luxury in May, and Luxury Roundtable and the Luxury Retail Summit in the second half of the year. Based in New York, Luxury Daily is read worldwide by decision makers from luxury brands, luxury retailers, ad agencies, publishers, analyst firms and service providers. Click here to view the photos from FT Business of Luxury 2016.